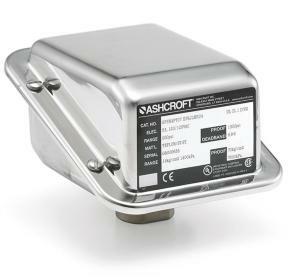 The Ashcroft® GP pressure switch is designed for use on tough applications requiring a 316L SS enclosure. The simple design allows for easy field installation and calibration, while proven technology ensures a highly reliable, safe and accurate switch. Ideal for pressure control, safety shutdown or alarm operations.